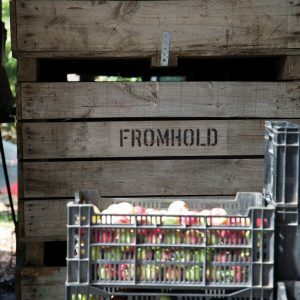 Hannah Foster takes a walk among Hazeldean Forest Farm’s organic apple orchards. 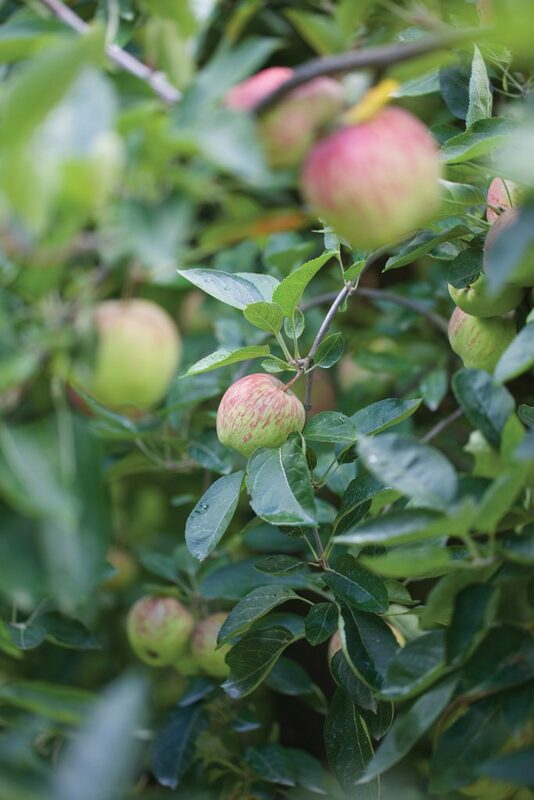 There are 10 different varieties of apples in the cider made by Hazeldean Forest Farm, all of them organically grown. Ten sounds a little excessive, but when you pop open a bottle of the farm’s Baw Baw Sparkling Organic Cider and pour out the champagne-like pale gold liquid, you start to see the appeal of this boutique brew. 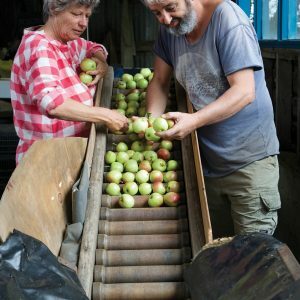 And when you taste how clean and light it is, you begin to understand why so much effort goes into the Alexandra family’s organic apples and the development of their cider and juice products. The farm, encompassing almost 40 hectares in Ellinbank about 20-minutes’ drive south of Warragul, has been owned by the Alexandra family for more than 25 years. Carefully planned windbreaks, complementary plantings and a huge lake have made the farm, which has had organic-certified orchards for more than 20 years, a beautiful green ecosystem and a highly productive organic fruit and vegetable business. In recent years, the Alexandras have turned their focus to apple juice and cider, travelling to Normandy to research champagne cider production and replicating it in their high-end Baw Baw Sparkling product. It’s sold in 750ml bottles for about $108 for a half-dozen. 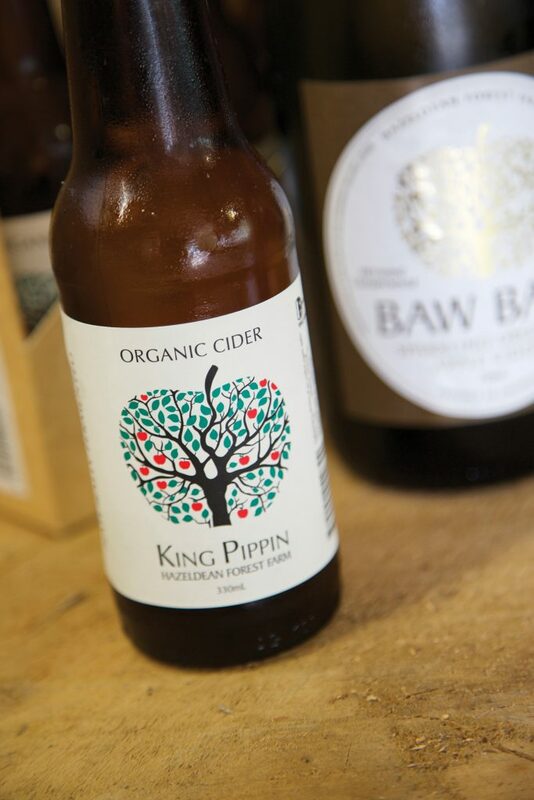 Their range also includes King Pippin Dry, which is naturally fermented with no sugars or other additives, making it a dry cider sold in 330ml bottles. The King Pippin Traditional rounds out the cider range. It’s similar to the King Pippin Dry, but is sweetened with the farm’s clear apple juice. There’s also a simple and delicious non-alcoholic apple juice, which comes in clear and cloudy varieties. 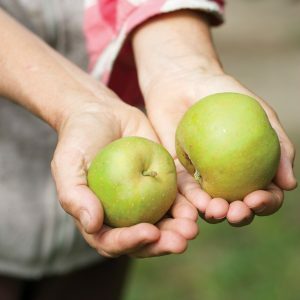 In all, the farm produces about 40 varieties, but you won’t find any familiar eating apple varieties in the Alexandras’ cider. The 10 varieties used in the cider are something of a family secret, but I am told by Leila, the Alexandras’ eldest daughter and former farm manager, that they are less sweet than standard eating apples, perfect for producing a crisp and mature cider. The fruit is ripened on the tree, hand-picked and then pressed before being traditionally bottle fermented. This process produces tiny delicate bubbles similar to those found in good-quality sparking wines. Each January, Summer Reds are the first variety harvested, with the other 40-odd varieties following all the way through to the final harvest in April. 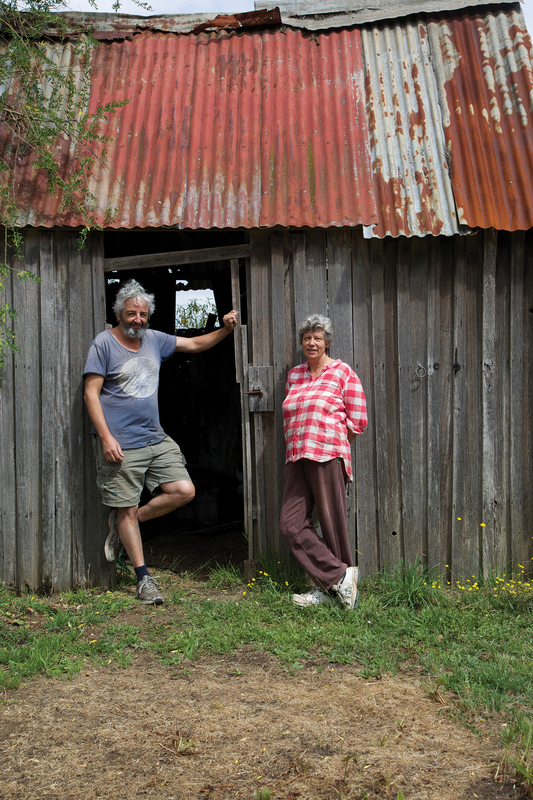 The Alexandra family don’t generally use cold storage; instead the apples are picked and sold or turned into juice and cider as quickly as possible, before the harvest moves on to the next variety. When I visited the farm, it was incredibly green and lush despite the prolonged warm weather. Ellinbank is temperate dairy-farming country, with the mean rainfall in excess of 1000 millimetres per year. Organic farmers are limited in their choice of crops as the high rainfall makes fruit and vegetables more prone to black spot and some pests. Rather than insecticides and fungicides, Hazeldean Forest Farm uses organic options, such as encouraging insects’ predators, including birds and bats, which assist with natural pest control. In spring, the Alexandras just “keep our fingers crossed it doesn’t rain too much”, which, in Ellinbank, is somewhat wishful thinking. 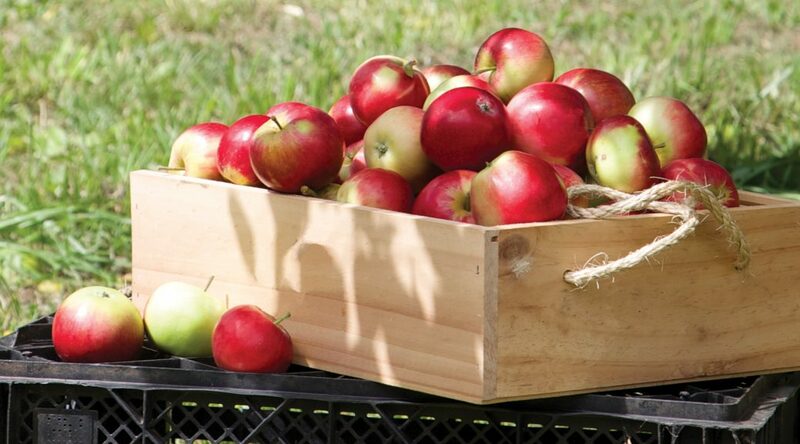 On the upside, Ellinbank soil is a rich red colour – a volcanic krasnozem soil that is highly fertile and helps to give the apples their distinctive and intense flavour. As well as apples, the Alexandras grow persimmons, chestnuts, pecans, plums and nashi pears across their three orchards. In the grassy lanes between each row of trees there are free-range chickens from the neighbouring farm, studiously guarded by large white Maremma dogs. The dogs gave me a careful once-over as Leila and I made our way through the orchards during my visit. I apparently looked innocuous enough though, as the dogs let me carry on, stopping to inspect the apple crops and to have a little lesson on the tree lucerne (tagasaste) which borders the orchards and serves to naturally improve soil quality by capturing nitrogen from the air and transferring it into the ground. Having lived in Ellinbank for about 20 years, I was privileged enough to enjoy a private guided tour of the farm. 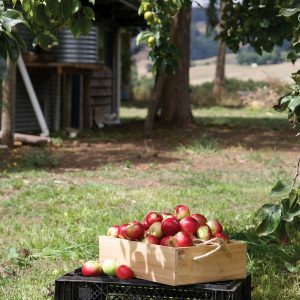 Happily, residents of Gippsland and Melbourne can enjoy a taste of Hazeldean Forest Farm simply by popping open a bottle of the farm’s cider or juice. 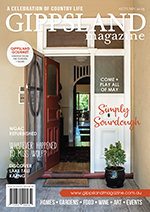 It is stocked at boutiques, cafes and cellars across Gippsland as well as in several locations in Melbourne. With one sip you’ll be transported to a lush little corner of Gippsland on a golden autumn day, minus the Maremmas.